Thursday 28th November 1918: Tragically the end of the War has not meant the end of bad news for the families of soldiers. 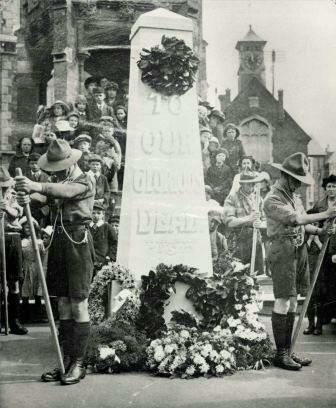 News of two men killed in the very last days of the fighting has now reached Leighton Buzzard, along with confirmation of the death of a third, and a report that a fourth man has died from the effects of influenza. Private Leslie Johnson, the nephew of Mr. Thomas Munday of Bridge Street, was killed on November 4th. He had worked in the Income Tax Office, London, but took up farming owing to ill health and for a short time was employed in the local area. He joined up at the age of just 17. His brother, Charles Rowland Johnson, the son-in-law of Mr. Henry Chapman Furlong, was killed in October 1917. Private Tom Hyde of the Middlesex Regiment was killed in action on 7th November, just four days before the signing of the Armistice. The chaplain of his battalion has written to his wife telling her that her husband was killed instantaneously by a shell and suffered no pain. 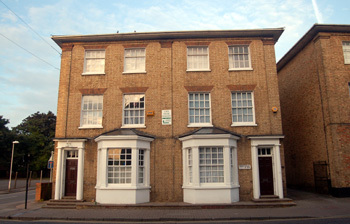 Private Hyde was the son of Mr. and Mrs William Hyde of East Street, where his wife and child now live at number 28. Before joining up he worked for Mr. W. G. Willis, builder. A year ago he was wounded in the knee, and as the joint remained stiff he was sent to Ireland on garrison duty. During the last “push” he was again sent out to France. He was 27 years of age, and a member of the Leighton Buzzard Excelsior Band. Private R. Miles of the 8th Battalion of the Somerset Light Infantry, formerly a Trooper in the 17th Lancers and the Bedfordshire Yeomanry, the son of Richard and Annie Miles - now of Leighton Buzzard but previously of Wicken in Northamptonshire - had been reported wounded and missing. He has now been officially reported killed. His elder brother was seriously wounded on the Somme. Sapper Samuel Walter Stevens of 12, Plantation Road, was serving with the Royal Engineers when he was admitted to a casualty clearing station in France on 8th November. He died on the 13th from pneumonia following influenza. Sapper Stevens was an old boy of Beaudesert School and worked for Messrs. Adams and Whiting as a bricklayer before joining the Army in 1915. After nine months’ service in France he was operated on for appendicitis; he returned to France after recovering from the surgery. He was 28 years old and leaves a wife and young daughter. Charles Rowland Johnson of the 1st Battalion of the Bedfordshire Regiment died on 17th October 1917, aged 32. 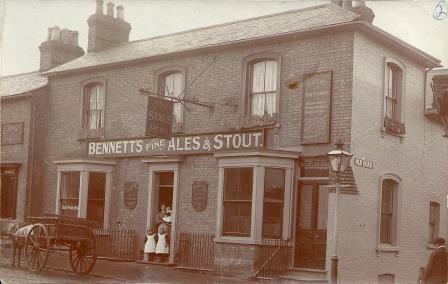 His wife, Jessie Frances Johnson, was living at 14 High Street, Leighton Buzzard. His brother is listed by the Commonwealth War Graves Commission as Martin Leslie Johnson, aged 19. 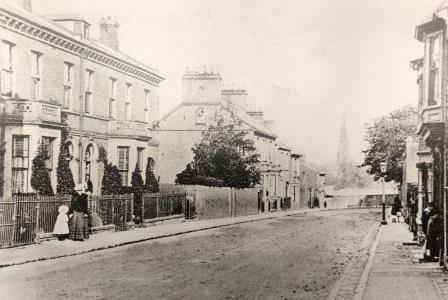 In 1911 Charles Rowland Johnson was living at 18 Bridge Street, Leighton Buzzard, with his uncle Thomas Henry Munday and working for him as a jeweller’s assistant. Apparently Reginald Miles of the 8th Battalion of the Somerset Light Infantry, whose death on 15th October 1917 is recorded on the Tyne Cot Memorial. Monday 25th November 1918: The ability to raise window blinds while the lights are lit is an unaccustomed pleasure to those who have been afraid of prosecution for lighting offences for so long. Even before the Armistice was signed preparations were being made to re-light the towns of Leighton Buzzard and Linslade. 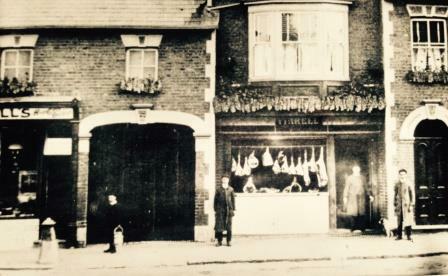 The contract between Leighton Buzzard Urban District Council and the Gas Company had been allowed to lapse during the War, and negotiations towards a new agreement are progressing. It is anticipated it may take some time before the lights there can be put back into working order. 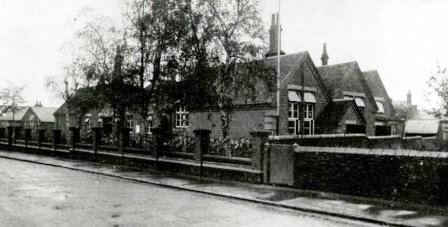 However, in Linslade a fixed sum for the upkeep of the lamps was paid by the Council during the war, and it has therefore been possible to get the lights back on more quickly. Since last Friday Linslade residents have been enjoying the benefit of lit street lamps, with around fifty per cent of the former number now back in use. 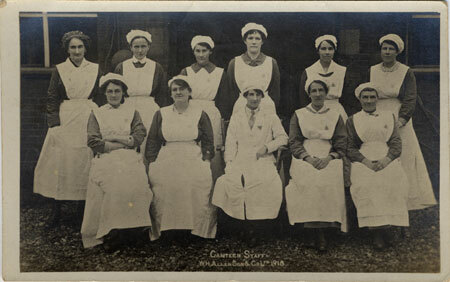 Friday 22nd November 1918: Although the War has now ended, the food shortages it caused will take some time to resolve. However, the Ministry of Food is trying to make it possible for people to celebrate Christmas on a much larger scale this year than last. It has announced that during the week before Christmas everyone will be able to obtain double the usual ration of butcher’s meat, and double rations will be served in all restaurants; between December 16th and January 4th any amount of poultry and game can be purchased without coupons, and it is hoped that there will be a good supply of turkeys. Twenty thousand tons of apples are expected to arrive imminently from Canada, and the price of fruit is already considerably lower than it was last week thanks to the Ministry’s pricing Order. The Ministry anticipates that a large supply of oranges will be available before Christmas, and that there will also be a supply of nuts from Spain. There is still a shortage of dried fruit; a distribution of currants, raisins, and sultanas will be made over the next few weeks, averaging not more than half a pound per person. It is also expected that loaves of white bread will be available again by Christmas. At W. H. Allen’s Queen’s Engineering Works a “joy day” is being held today. The Works is decorated with the flags of all the Allies, together with a huge Union Jack. This morning saw a ladies’ football match, followed by a match between the Works and Queen’s Park Rangers, and this evening a social and dance will be held in the ladies’ dining room at the Works. Tuesday 12th 1918: The news of the Armistice arrived at Luton yesterday morning in time for special newspaper editions to hit the streets soon after eleven o’clock. At 11.10 the Mayor appeared on the balcony of the Town Hall and announced the signing of the armistice and the cessation of hostilities to rousing cheers. The National Anthem was sung, followed by a verse of the hymn “Praise God from Whom all blessings flow” and a rousing “three cheers”. By noon the main streets were filled with “shouting, smiling, joyful people”, undeterred by the rain. The local authorities met and announced the withdrawal of lighting restrictions, and by evening the town was a blaze of light. 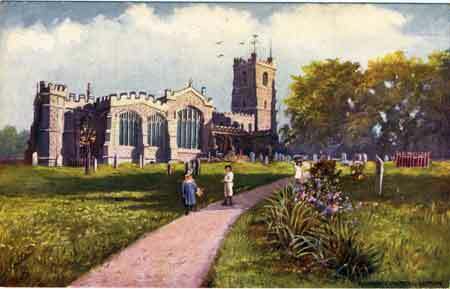 Services were arranged at all the churches and bands played outside the Town Hall, in Park Square, and at the Volunteer Club. The streets remained packed with people until midnight. Today has been declared a public holiday and a civic service of thanksgiving was held this morning at the Old Parish Church, attended by the Mayor and Corporation along with representatives of all the public bodies in the town. 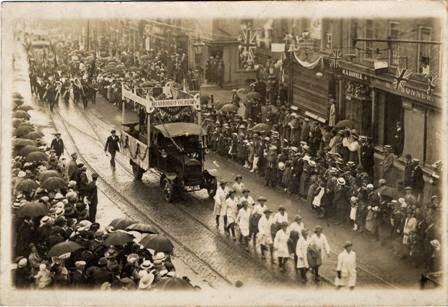 The largest civic procession seen in Luton took place from the Town Hall to St. Mary’s, passing along streets lined with crowds. During the service the King’s message to the Services was read to the congregation by the Mayor. A collection was taken for St. Dunstan’s Hostel for the Blind, and the service closed with a blessing from the Vicar and the National Anthem. Monday 11th November 1918: The War is over! After premature reports of victory last week people seemed afraid to believe the news that the Armistice had been signed, and there is a sense not just of celebration but also of bewilderment that this day is one of such momentous importance. The crowds who have turned out to celebrate in Leighton Buzzard and Linslade have been quite modest. The War has taken a heavy toll on both towns, with many dead and many more still serving overseas. Among those left at home the munition workers “mafficked”, Morgan’s Band played in between bouts of rain, and the Church Lads’ Brigade Bugle Band has been out in the streets. Union Jacks are flying, although a surprising number of people seem unaware of the correct way to fly the flag, with many hanging upside down. At All Saints Church in Leighton Buzzard and in all the villages around bells are ringing out the good news, although many of the ringers are novices with rather more enthusiasm than skill. The chief feeling in the towns has been of relief and thankfulness. Services of thanksgiving have been attended by large numbers, many of them not regular churchgoers. At All Saints Church a packed congregation was present at a shortened version of Evensong which ended with the hymn ‘Now thank we all our God’, a verse of God Save the King, and the Marseillaise. The Vicar, Reverend G. F. Hills gave a short address based on the words from 2 Kings, 9:17, “Is it peace?”, ending with the hope that the returning men would find a different and better world. At St. Barnabas Church in Linslade a spontaneous service of thanksgiving was attended by the special constables, the Church Lads Brigade, and people of all religious persuasions. Services have also been held at Hockliffe Street Baptist Chapel and the Wesleyan Methodist Church. Friday 8th November 1918: Luton has also been hit by the influenza epidemic, leaving local doctors utterly overwhelmed by the large number of cases. All those doctors who have not themselves been taken ill are working from early morning until late at night to cope with crowded surgeries and are able to do no more than issue medicine and general advice. The Luton Medical Officer, Dr. Cox is concerned that this epidemic seems more virulent than the previous one, with more complications brought about by the illness. This has led to an increase in the number of deaths from about twenty a week ago to a total of fifty, all of them adults. Although the effects appear to be less serious in children the schools have all been closed and are likely to remain so for the time being. Restrictions on churches and places of amusement have also been introduced in an attempt to reduce opportunities for infection. About 600 workers have been absent from George Kent’s and about 200 from the Diamond Works due to the illness, but it is hoped that the spread of the disease in industrial establishments has been halted and matters are improving. Dr, Cox has also expressed a belief that the epidemic has now reached its peak and that the number of new cases is falling. 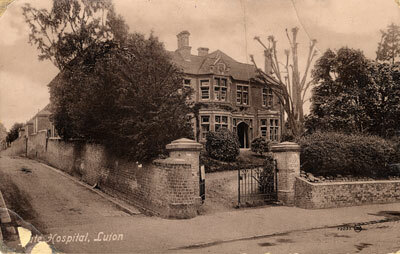 Sapper Trotter was educated at Surrey Street School in Luton and was employed at the Diamond Foundry before the War. He was a member of the Mount Tabor Primitive Methodist Church, won prizes for cross country running and was a member of the St. John Ambulance Society. He volunteered to serve with the East Anglian Royal Engineers in April 1915 and went out to France in autumn 1917. It would appear that Sapper Trotter’s body was subsequently moved as he is now buried in the Tyne Cot Cemetery at West-Vlaanderen, Belgium. Saturday 2nd November 1918: A Linslade father and son died from influenza within hours of each other on Friday. William Robinson, aged 42, was taken ill about three weeks ago, but returned to his work as a carter before he had fully recovered and suffered a relapse. Meanwhile his son, William Leslie Robinson, had also contracted the disease; he died just a few hours before his father. The family’s youngest child is also gravely ill, and his mother has had to take to her bed due to the stress of constant nursing. A fund to relieve the immediate needs of the family has been opened.